This busy, traveling family wanted a space to decompress into simplified beauty. They wished for a sleek, high-end concept with a soothing and natural feel. 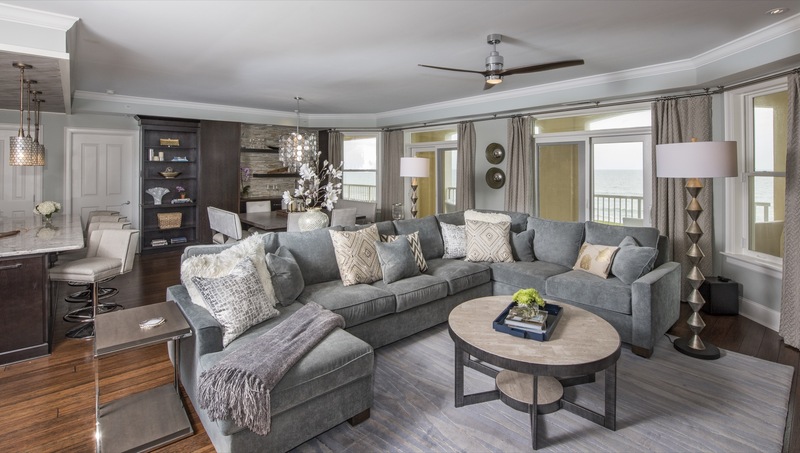 The open living area needed to feel inviting, while the individual spaces were designed to serve as personal oases, defined by purposely-selected furnishings and accessories. The infusion of light adds warmth to the interior. 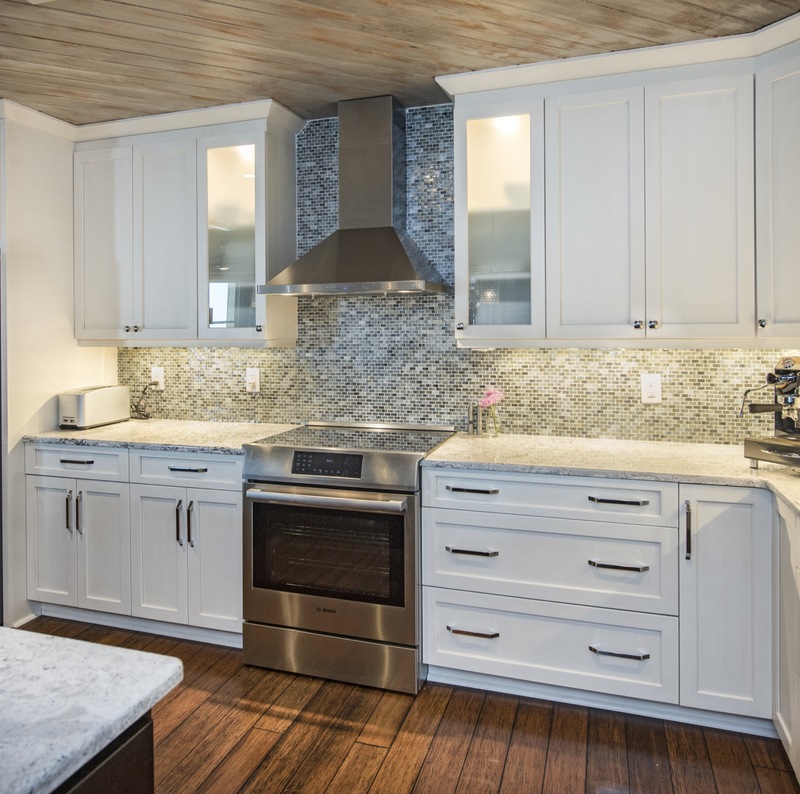 This renovation was a complete overhaul of the space, yet we finished the extensive renovation in six months. 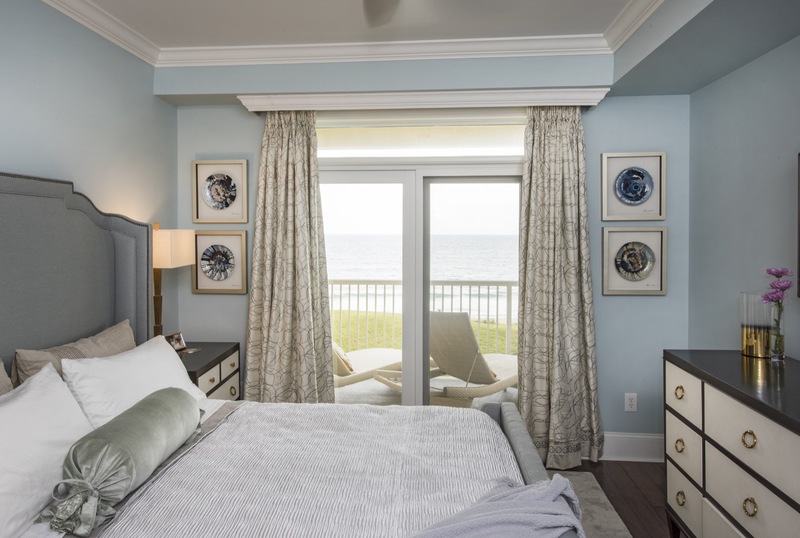 The challenge was incorporating the multiple focal points: the ocean view, kitchen island for entertainment, as well as the TV and fireplace for relaxation. 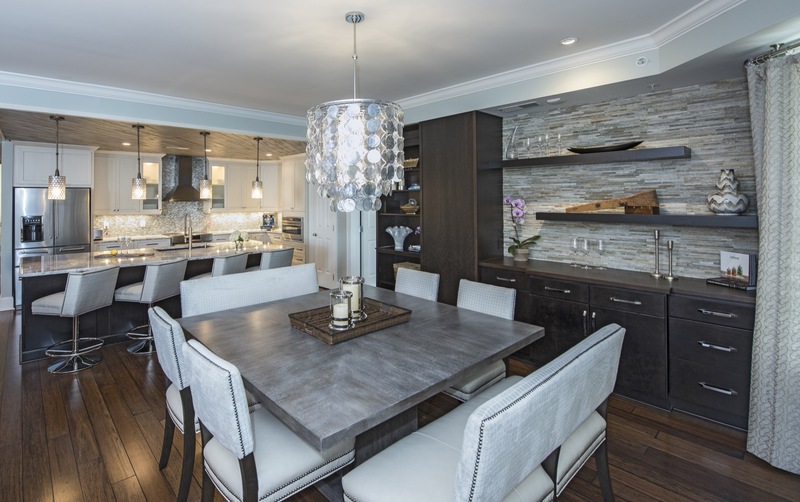 The clients wanted updated, functional finishes, like hardwoods instead of the existing travertine flooring. 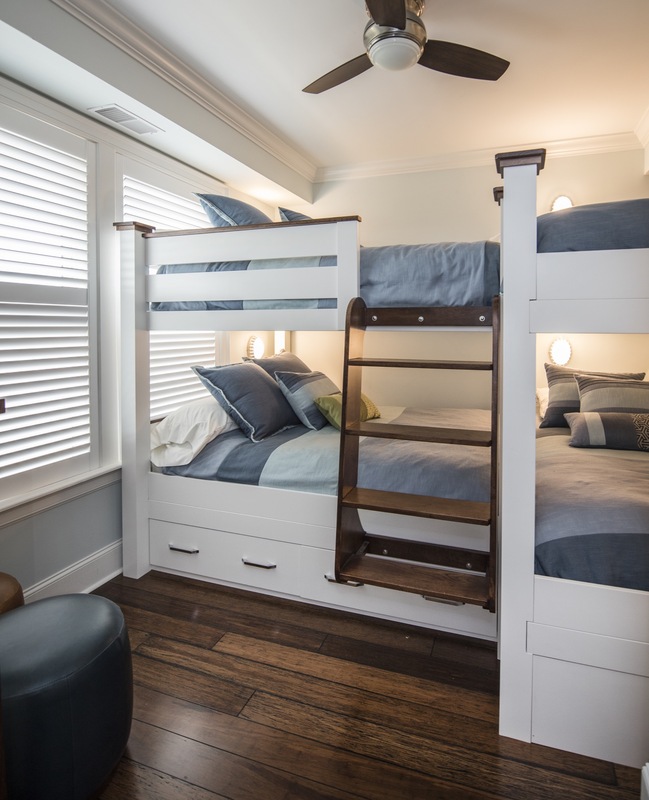 They wanted a four-person bunk bed, with data ports at each space for high-tech living and ultimate gaming possibilities for the kids. We created character of spaces through color, pattern, and texture. 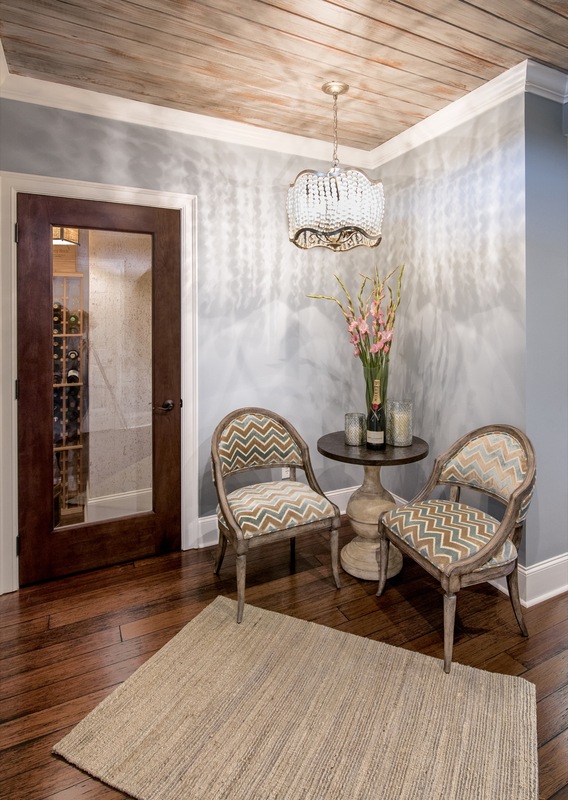 The heavier textures anchor a lofty feel of the lighter, neutral colors. 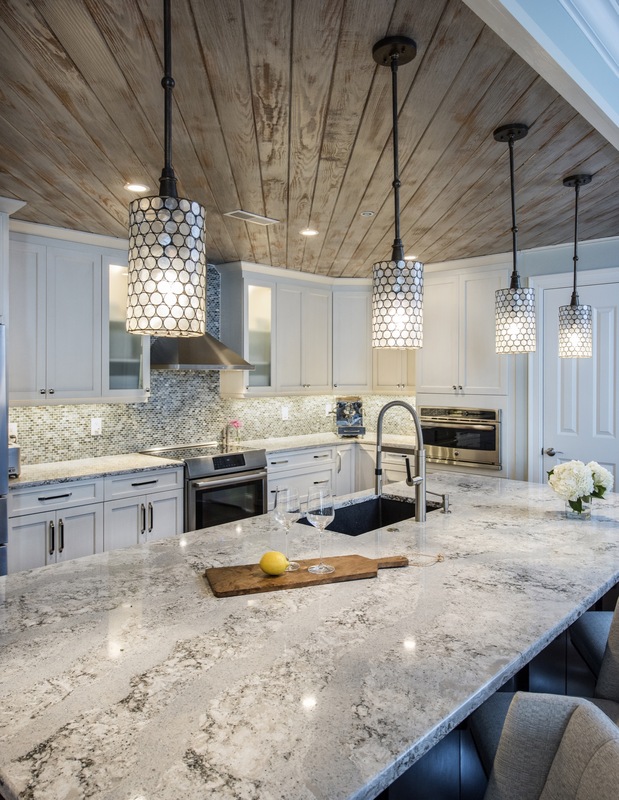 The faux finished ceiling treatments bring cohesion to the kitchen and bar areas, defining those spaces within the open floor plan concept. The clients wanted a four-person bunk bed, with data ports at each space for high-tech living and ultimate gaming possibilities for the kids.